As somewhat of a continuation of my blog series about influences I wanted to look back at one of my favourite podcasts. Since I started listening back in August of 2011 the Get Up On This podcast has introduced me to a wide range of things that I have enjoyed. In some cases it could be fair to say I have even become obsessed with them. There have been so many of these ‘picks’ (the show terminology) on the podcast that last year I created the Got Up On This database. This site allows other “Bunheads” to find old picks and serves as a definitive source for the show. I can go mad with honourable mentions peppering them in throughout the list. Fans of the show may think it’s a little odd that this is the only music pick on my list. Considering how heavy the show is on music picks that may seem a little strange. Truth is that I hardly listen to music these days. That said there have been a few music picks in the history of the show that I have enjoyed. I thought it would be unfair to launch into a top 10 with no single mention of one of the hundreds of music picks. Number one on the list of music picks I have enjoyed is compliment rap battles. Because the primary battle mentioned in the episode (Pat Stay vs Rone) is brilliant. Beyond that, it sent me down the rabbit hole, into other compliment battles and then into the current UK Battle Rap scene with Don’t Flop. The underground and sometimes “wrestling-esque” nature of these shows is engaging. At times it even includes some the smartest comedy I have seen in a while. When Jensen first discussed this app back in 2012 I took somewhat the same cynical view as Matty did at the time. Thinking that it was pretty much another of these Facebook-style games that I would have no interest in. I couldn’t have been more wrong. The writing and general humour of the game pulled me into it. Even as someone who hasn’t seen a new episode of the Simpsons in a few years. I would check in on the app 3-4 times a day for at least half a year or so before finally falling away from it as interest started to fade. The real proof for me that this belonged on the list was when I re-opened for the first time in a few years. I took a look while thinking about this list and instantly re-engaged in the game. I’m now back to playing it once or twice a day. There has been so much content added in the time I was away there is a good chance I’ll be back on the game for a while. At the time of this episodes release, it would be fair to say that for the most parts I was somewhat of a lapsed computer gamer. As someone who grew up getting every new console as they came out and getting new computer games every other week or so. In 2017 the only consoles I had left were my broken X-Box 360 and Nintendo DS. Pretty much the only new games I’d bought were the yearly generational Pokemon releases. Growing up I had somewhat of an addiction to computer games. My all-time favourite was Ocarina of Time. When Matty got talking about the Switch and how beautiful the newest Zelda game was, I felt a longing to play a new game that I hadn’t had for some time. Within a week or so I had bought myself a Switch and months later I have sunk 170+ hours into Breath of the Wild. Beyond that though, the Switch revitalised my love of computer gaming. A few months ago I bought myself an X-Box One and I’m now buzzing about some new games coming out. Some of these are games that Matty has bought up since making this pick. As a part of my discussion of the Switch, I mentioned that I hadn’t played any new video games for a number of years. 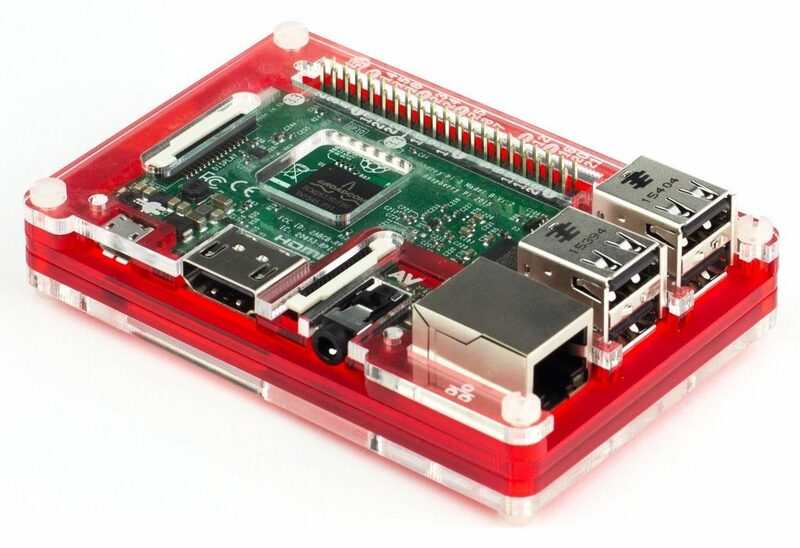 Part of the reason for that might well be the RetroPi. When Jensen bought this up as a pick I had a real rush of nostalgia for video games. Especially ‘Comix Zone’ and ‘Micro Machines’, two games I loved as a kid. So I did some looking around and bought myself a Raspberry Pi and all the needed gear to turn it into a little retro games console. After loading all my favourite Mega Drive and SNES games I also loaded in a few N64 and PS1 classics. I loved every little trip down memory lane that the tiny little computer can provide. Add to that the ease with which I could take it with me, it was a perfect little purchase. 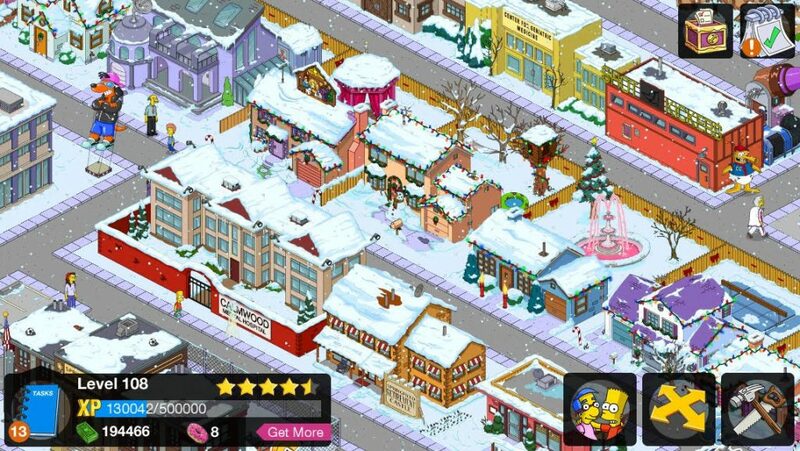 The real joy of this came when I downloaded a game called “Zombies ate my neighbours”, a game that Sarah had played a lot as a kid. The two of us played it over and over again. Sarah’s interest in video games didn’t go beyond the days of 16-bit gaming. So this proved to be a great addition to our relationship. We have been able to fall back into some fantastic retro games together. Plus now that I have someone to play them with I’m getting more fun out of them now than I ever did as a kid. Took a good few months of trying to finally see this screen. Board games have become a big part of Get Up On This. For me, one of the best is still the first ever board game that discussed on the show. At the time that this game was a topic, I was just getting back into board games with some friends. Playing some of the old classics such as Monopoly and Cluedo (I’m sure this would disgust Matty to learn). Matty’s description of Risk Legacy at the time blew my mind. The idea of a game where you could rip up the pieces and write on the board and that would change as each time you played it sounded fantastic. Within a week or so of the podcast I had bought the game and over the next few months would have a weekly game. One that would get more and more competitive as time went on. In the end, our little world would end in a tie. Both my friend Ant and I won five of the fifteen games, with the other five spread out amongst the other people that we played with. 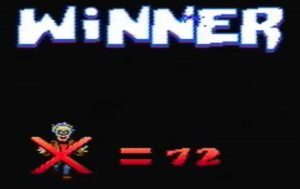 While these games nights would then dwindle following the completion of the game. My love of boards games became cemented. So when I went to university the following year me and the people I was living with played all kinds of different games as part of a weekly board game night. Somewhat of a direct follow on from board games in general. Something that I have found myself enjoying in recent years is the experience of a good escape game. To date, I’ve only done a few of them but each one has been an enjoyable experience. Another of Matty’s picks, this one, from the end of 2014. While his description of the escape rooms he visited was a lot more elaborate than the games I’ve been to in this country. It does look like they are coming along more now as there are a few places where games are popping up. Having delved into my old e-mails I can see that I first booked an escape room 2 weeks after it was a topic on the podcast. It must have taken that long to find a game near me and read up on the reviews. Since then I’ve been to a few different games including attempting a two person escape when on holiday in Orlando. I really look forward to trying out more of these games. 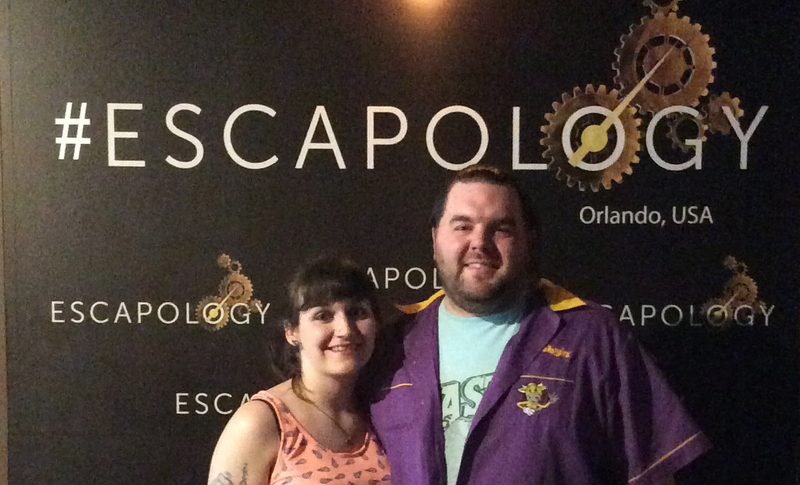 To date 3 years on I’ve not run into any other situation where I would have discovered what an escape game was. This is definitely something I now do somewhat regularly that I owe entirely to the podcast. Over the course of the podcast, there have been plenty of films discussed that I have enjoyed. I find that my enjoyment of movies seems to line up quite well with both Jensen and Matty. I considered a few films to add to this list but I don’t think anything else could have made it this high. During this episode, Jensen did a great job of both selling the idea of this film while also not giving anything away. I had seen small bits of promotion around Whiplash but it hadn’t hit me as something I’d enjoy. Following on from this recommendation I decided to give it a go. 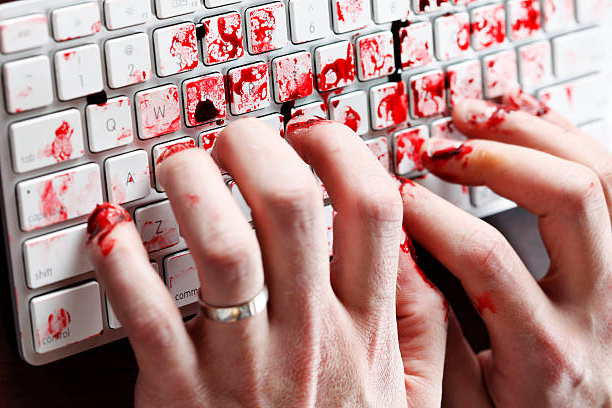 If I could show the same dedication as depicted in the film, this is what my keyboard would look like. It’s so good that I did because to date I think it’s one of the best films ever made. It easily found it’s way into my top 5 films of all time. I found the story of what it takes to be the absolute best at something so inspiring. I’ve re-watched it every few months since first watching it and each time love it just as much as I did the first that I saw it. I’ll start this by saying I watch A LOT of TV (cause there’s too much right?) and over the years I have binged and loved a bunch of shows after discovering them late. It’s important to say this so that when I say “You’re The Worst is my favourite TV show ever” the real depth of that statement is understandable. I would have likely never seen it in the UK, and only discovered it through the show. This is part of the reason that I will be a lifelong Bunhead (or until Matty and Jensen quit at least). So what is it about the show that I love so much … In a word Everything. I love the characterisation, the style of humour, the little background and recurring jokes that you can only catch with re-watching. At the heart of it I just love the story, the two main characters are perfectly brought to life. Since getting up on the show I have re-watched everything each time a new season is ready to be released. I’ll be sad to see it go after season 5 but I am really looking forward to it. The only “category” that has made its way onto this list twice is board gaming. Maybe you could argue Video Gaming but I do think there is a strong split there. The reason for this is that before I started listening to the show I had no understanding of modern board gaming. As I mentioned when talking about Risk, I now enjoy a range more elaborate board games. While I don’t have the same kind of collection I would like. One game where I have become fully emersed is Sentinels of the Multiverse, a pick from way back in 2012. At the time that it was a topic on the show, the enhanced edition had just been released. After managing to pick up a fairly cheap import on eBay I subjected my friends to a game at any chance I could get. Over the years I’ve bought every expansion, ever promo (and I’m currently waiting on final expansion for the game), and even the digital version of the game so that I can play solo without needing a group to play along with. 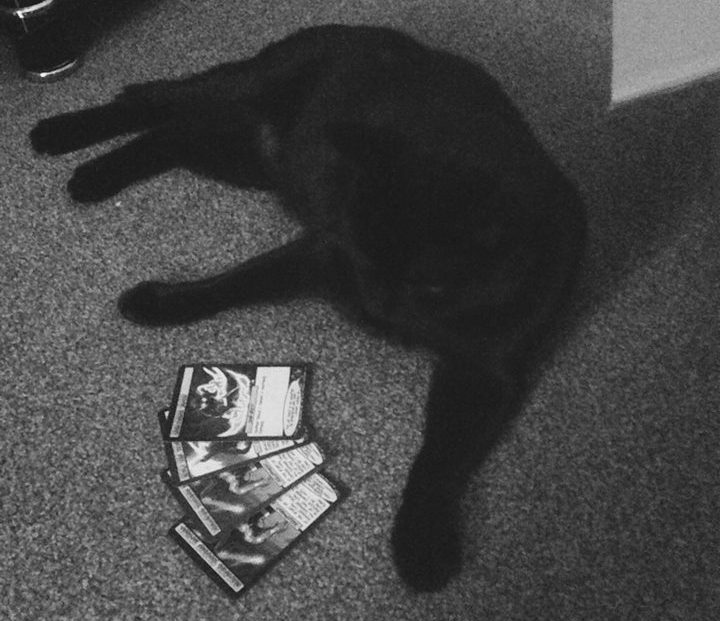 I love the game so much I even tried to teach the cat how to play … she was awful. The reason that it has placed so highly on this list is simply the amount that I have played the game. During my final year at University, I was playing multiple games, a night or two a week. That was just with the physical game, I would play the digital edition every day. What is especially great about the game is the rich world built up around it. From the Letters Page podcast to the elaborate Fan Made Cauldron expansions they all help to feel immersed in the game. These days I think as highly of the characters from this game as I do of the DC and Marvel superheroes. Some possibly more so … here’s looking at you Chrono. I’m not sure I could stress enough how much of an impact listening to Serial had on me. At the time it was a topic up on the show I was at most subscribed to 5 or 6 podcasts. All of them were from the Smodcast network (the old home of Get Up On This). It was also true that when watching late night TV I could rarely pass one of those FBI Case files shows without stopping to watch it. So roll up Serial, a show I had no choice but to be hooked on after episode one. It did help that I could binge the first three by the time it was a pick on the show. An average morning of Podcast updates as I now listen to so many. My interest in the show itself and the many times I have listened back would have been enough for Serial to place high on this list. 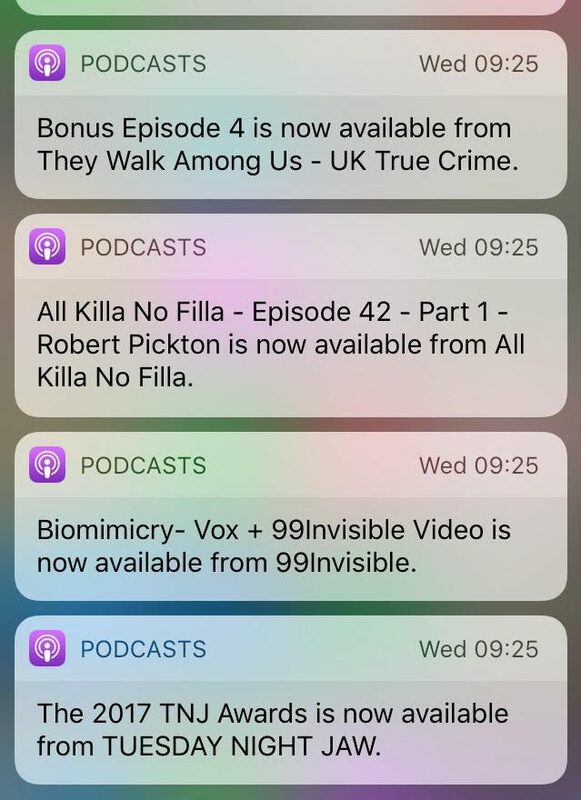 The more I thought about it though I realised that what started as an interest in other podcasts around Serial (such as Crime Writers On) lead to me now being subscribed to 70+ podcasts. Some of those are straight lines to see the connection (e.g. I like Serial, I might like Criminal). Wider than that though, through Serial I started listening to This American Life. and from there discovered a range of new and interesting Podcasts. Going back to what I said at the start of this post, I hardly listen to music these days, and this is the reason. The more podcasts I discover the more interested I become in a range of different topics. Along the way, I’m sure I would have discovered some of these podcasts. However, my current listening relations with Podcasts as a whole comes from Serial.